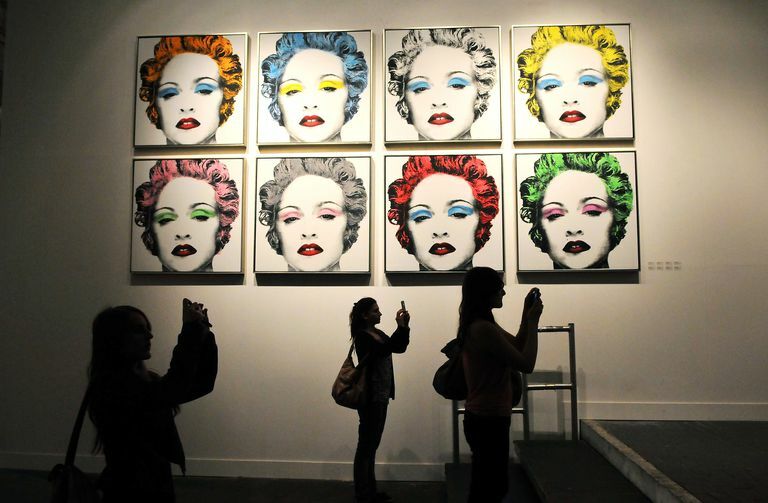 Pop Art is a modern art movement, started in the 1950s, which uses the imagery, styles, and themes of advertising, mass media, and popular culture. Richard Hamilton, Roy Lichtenstein, and Andy Warhol are among the best known Pop artists. Inspiration and ideas for Pop Art paintings were drawn from the commercial and consumer aspects of everyday life, particularly in American culture. "Pop art celebrated objects and ideas that were not only familiar but also banal in their content." In developing its distinctive style, Pop Art built on both abstract art and commercial advertising styles, namely, the way these reduced or simplified reality and perspective. Some pop artists also used commercial printing techniques to produce multiples. Pop Art paintings don't show evidence of the application of paint, they don't have hidden symbolism (though the choice of the object depicted may have some intended symbolism), and they don't use the traditional techniques of perspective to create an illusion of reality and location in the painting. Pop Art "connected to contemporary anti-painterly developments in abstract painting through their deliberate withholding of personal commentary and in the care they took to reproduce their borrowed images with no addition of pictorial illusion. "2 As a style, Pop Art often looks flat, with opaque color rather than having depth created by layers of transparent, glazed color. Once you're familiar with a few Pop Art paintings, it's a distinctive art style that's quite easy to recognize. 1. DG Wilkins, B Schultz, KM Linduff: Art Past, Art Present. Prentice Hall and Harry N Abrams, Third edition, 1977. Page 566. 2. 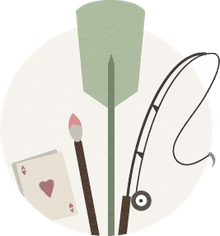 Sara Cornell, Art: A History of Changing Style. Phaidon, 1983. Page 431-2.